grande wrote: So, I generally don't think we need to have a team full of Canadians to appeal to Canadians (that's been shown so far), but it's still kind of disappointing that they've loaned one of the few Canadians (Quinn Ngawati) to the Skolars. The reason for this is to get him game time and help him develop. You need to remember the kid hasn't even turned 19 yet and he is a long term project player for the Wolfpack. This will get him up to speed and prepare him for the inevitable step up in class. He is 18 years old and is 6'4, 220lbs. I watched him in a few games last year and he didn't look out of place, he will be a force to reckoned with in a few years. As for Canadian players, rumour is the Wolfpack will be holding open tryouts in Canada. What I've read is this will happen maybe after the end of this season. I've also heard from a good source that they are potentially on the verge of signing a Rugby Union crossover athlete. Arygle shared a pint with some fans at the game in Sheffield and he wouldn't say who it was but dropped that tidbit. It might be a National team player from Rugby Canada, DTH is leaving Newcastle and was rumoured to be heading back to Glasgow but I've read he is looking at retirement and maybe the Wolfpack hauled out the check book? I know they have very deep pockets. This is just speculation on my part but I know for a fact attracting high calibre Union players is going to be part of their strategy going forward. Watching Toulouse Olympique vs Toronto Wolfpack this morning. Excellent game and advert for the sport. Good crowd as well. The RFL needs to expand Super League and get some of these clubs in there. Highlights from Toulouse vs Toronto. It was an outstanding match. Other news, Quinn Ngawati has started the past three games for London Skolars and has apparently played very well. He is looking to be a long term player for the Wolfpack. For those who like me weren't able to watch the video from CBC. 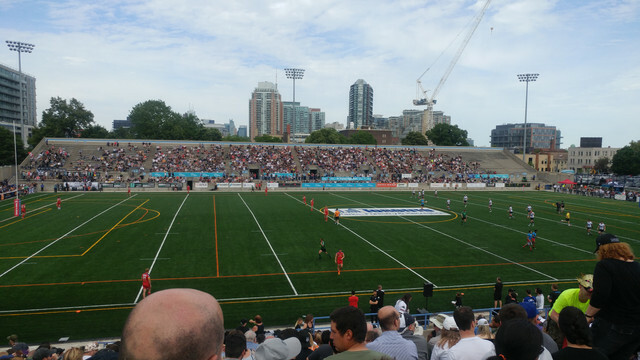 Couple of pics I took at the Toronto Wolfpack vs London Broncos match this weekend. Attendance was 7400. West Stand was close to full and East Stand was about 70% filled. The Craft Beer Garden is awesome. Lower bowl in Denver looks pretty sparse to me. It's such a massive stadium though god only knows how many people that is. Anywhere from 10-20k? sk 88 wrote: Lower bowl in Denver looks pretty sparse to me. Considering going to watch Toronto Wolfpack play Halifax RLFC tomorrow at The Shay. Let's see, because I'm not sure they have judged the situation properly. Due to political climate in Catalunya their Challenge Cup win has been heavily publicised, but I doubt it would attract a decent looking crowd. XIII almost doesn't exist there, Barça has a XV team... If they really wanted to play in Barcelona I'd go to Montjuïc. Even Montilivi in Girona, as USAP was considering, is a wiser choice: closer to Perpignan, more pro-independence, better scaled venue. But I get it hasn't got the same appeal. It's a bit of everything. Barça inviting Dragons Catalans without really knowing what rugby league can really attract as a crowd, just of the sake of Catalan fraternity, and rugby league jumping onto any fake expansion opportunity because they think they are on the same footing as union. 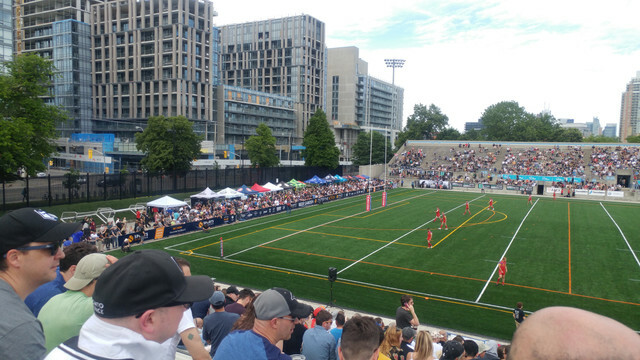 Toronto Wolfpack leading Leeds Rhinos 12-10 at HT. Spain v Russia this saturday in Valencia, 15.00 CET. 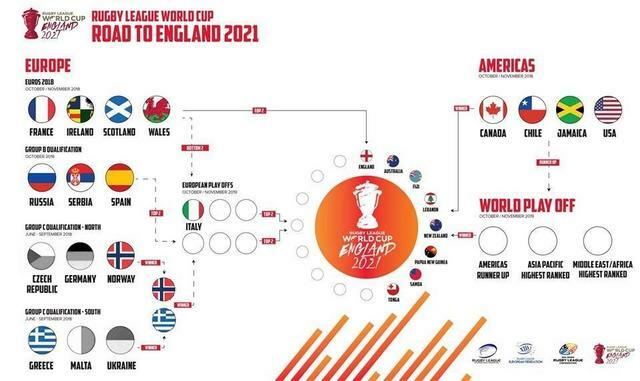 It's part of the Euro B championship and of the RLWC qualifying. Euro B is a pool of three teams (Spa, Rus, Serbia), the best two of which will proceed to next level: a 6-teams competition with Italy, the worst two nations of Euro Championship A (Fra, Ire, Wal, Sco) and the winner of Euro Championship C (Greece or Norway). The best four of these six nations qualify to the World Cup. Red Star Belgrade are looking to join the UK leagues. I’ve been saying it for years but multi-sports clubs are the best way to expand into new markets, in Europe in particular. They draw in casual fans in a way that unknown brands do not. It will be interesting to see what happens with Penarol and Nacional in Uruguayan RU. 4N wrote: Red Star Belgrade are looking to join the UK leagues. I’ve been saying it for years but multi-sports clubs are the best way to expand into new markets, in Europe in particular. They draw in casual fans in a way that unknown brands do not. So they classic RL questions arises: how many of those players are not Ozzies? Because rugby is viewed as an old/declining sport in Romania. Steaua were better 30 years ago than they are now. Where were Steaua's big rugby crowds 30 years ago? FC Barcelona has rugby too. Where are their big crowds for their rugby club? 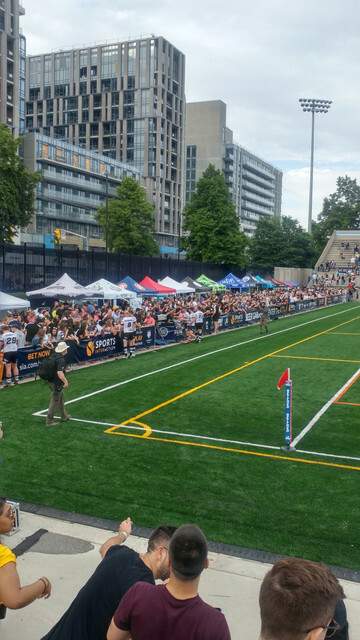 Big crowd in Toronto today against London. Lamport is basically full and there is a big buzz around the Wolfpack in the city. Almost a 10k crowd. RL is here to stay in Toronto. 4N wrote: Almost a 10k crowd. RL is here to stay in Toronto. Unlucky loss, 4-2 in what was an excellent match. Super League has a London side again and Toronto will be chasing again next year.